The 560-acre Copper Spur Ranch is an exceptional ranch setting only 45 minutes from Vail and one hour from Steamboat Springs, Colorado. 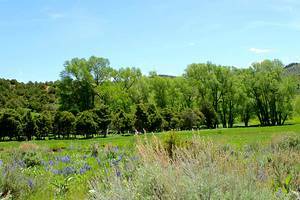 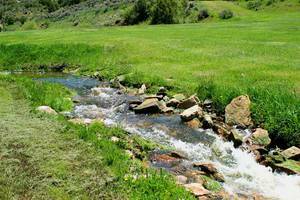 The ranch has year round water in Yarmony Creek, two fishing ponds, water rights, 150+/- acres of irrigated hay meadow and is adjacent to BLM land. 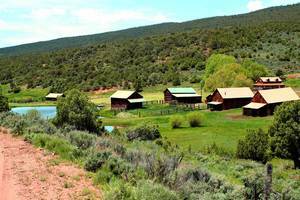 The ranch includes several outbuildings such as a small modest home, barns, shop, green house, chicken coop, and a bunkhouse. 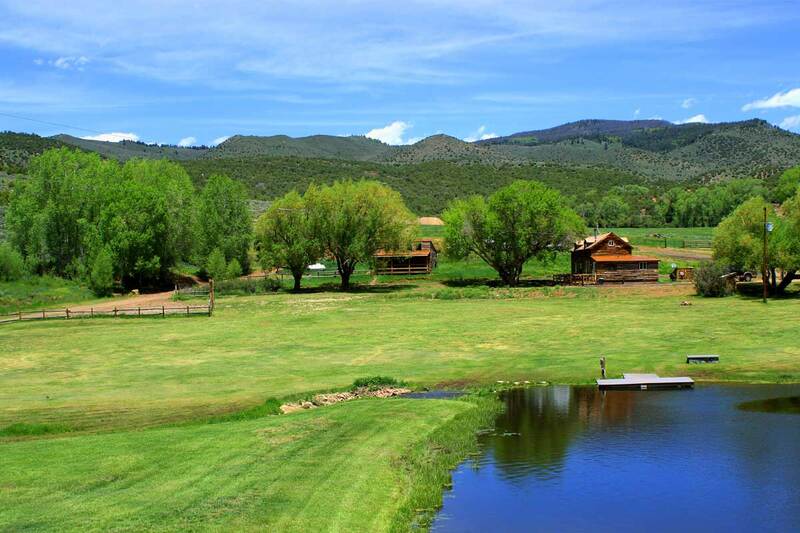 The Copper Spur Ranch setting is truly a quintessential Colorado ranch setting. There are several buildings on the ranch’s headquarters originating back to the 1930’s and a bunkhouse that was remodeled in 2013 that could be used for overflow during the busy days or a place for the kids. 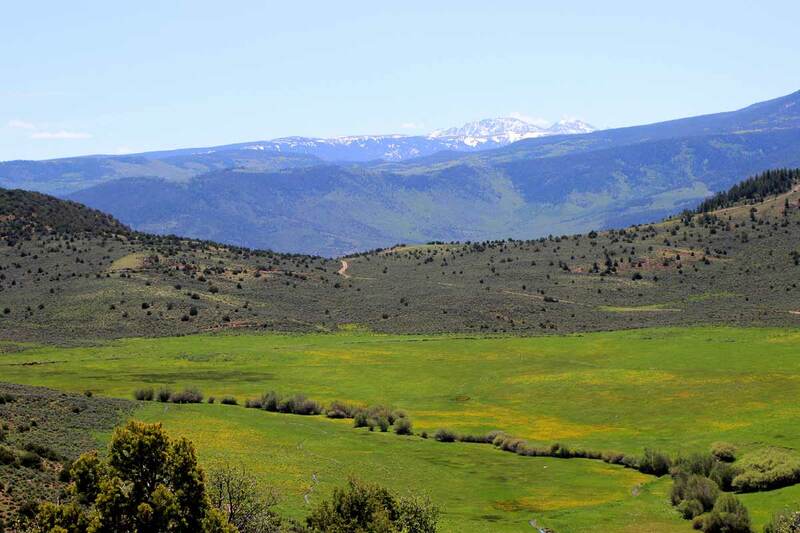 The setting of the ranch and it's proximity to public lands both on BLM lands and Routt National Forest provide excellent habitat and recreational activities from hunting and fishing to horseback riding and ATVing. 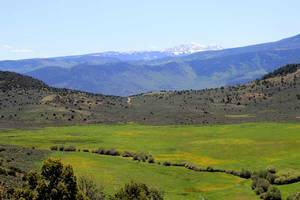 There's plenty of hunting opportunities for many of Colorado's big game animals such as elk, mule deer, bear, mountain lions, and even moose. 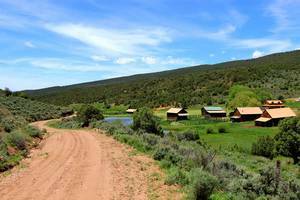 Fishing is also in abundance with 2 ponds on the ranch containing brook and rainbow trout, while the Colorado River is just a short 10 minute ATV drive away. 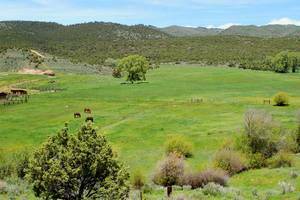 Depending on the new owner’s interest, the ranch could support its own small herd of cattle and horses or you could continue with the current lease program already in place. 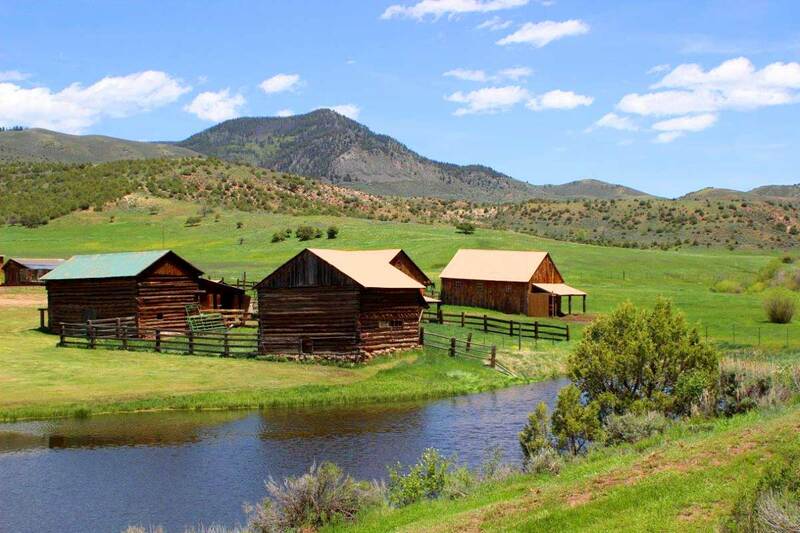 There is also a ranch caretaker living on site that would be available for future owners. 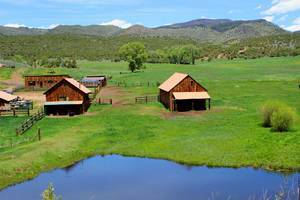 On this Colorado Ranch the mature barns are reflected on one of the two ponds on the property. 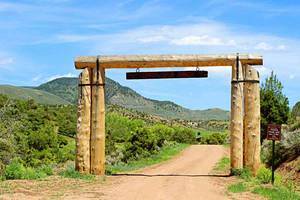 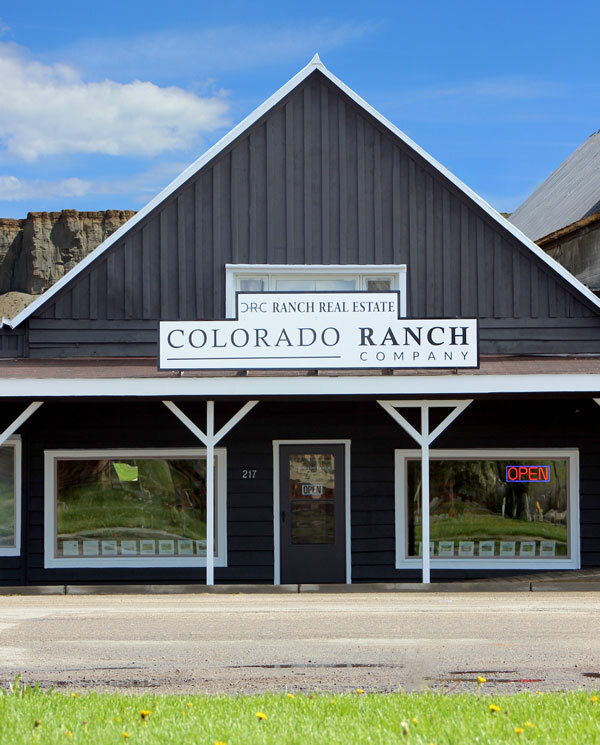 County Road leads to straight to an quintessential Colorado working ranch. Perfect location with an vast open meadow with views of mountain and access to hunting. 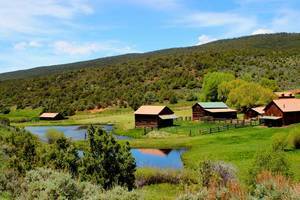 Several outbuildings such as a small modest home, barns, shop, green house, chicken coop, and a bunkhouse on the Colorado Ranch. 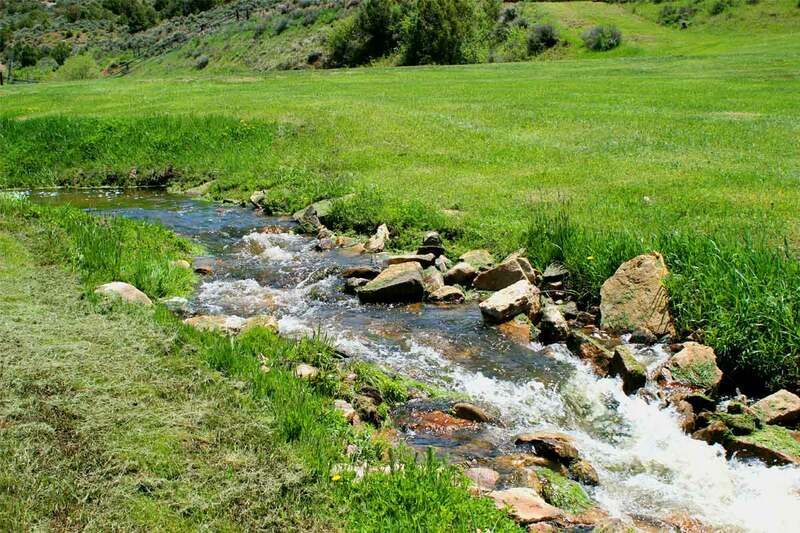 Stunning mini waterfall that joins two ponds on the Colorado Ranch. 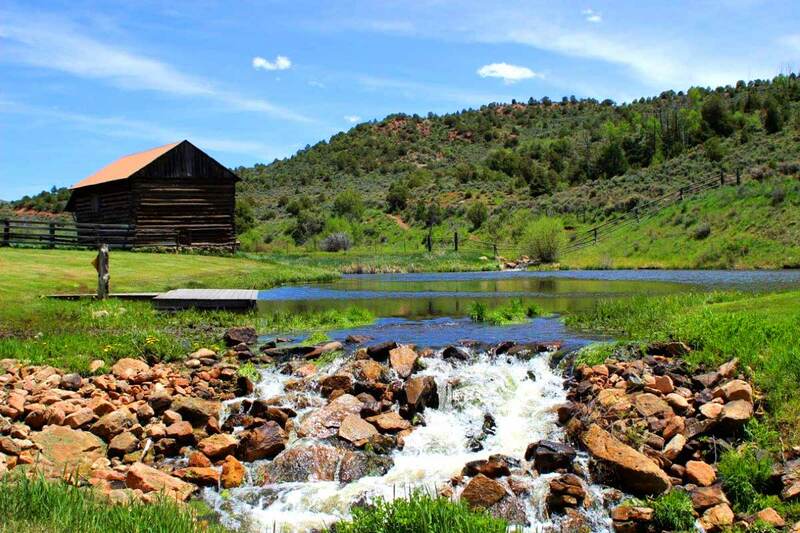 Stunning setting with two ponds filled with trout. At this Colorado Ranch take a short walk from headquarters over to the pond and catch a few brook and rainbow trouts. Colorado Ranches often have their very own pond with a breathtaking waterfall. 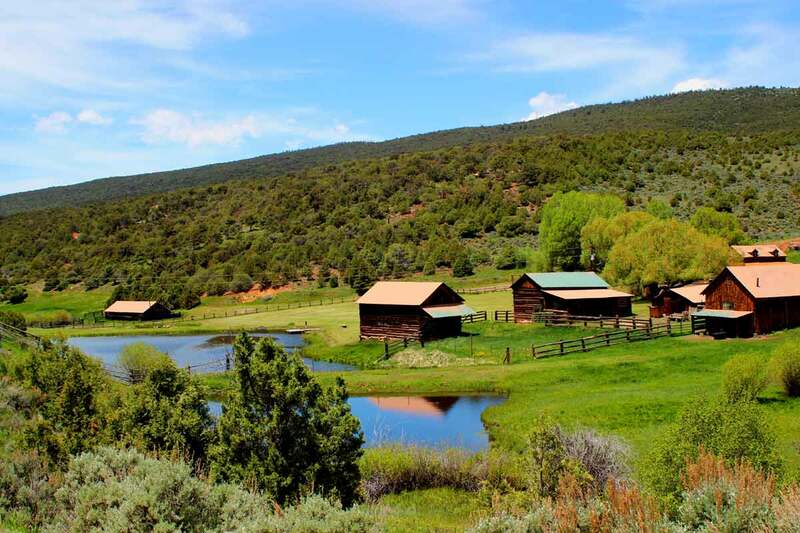 Barns, greenhouse, bunkhouse, chicken coop, shop and a home with a pond and open meadows all this the Colorado Ranch. 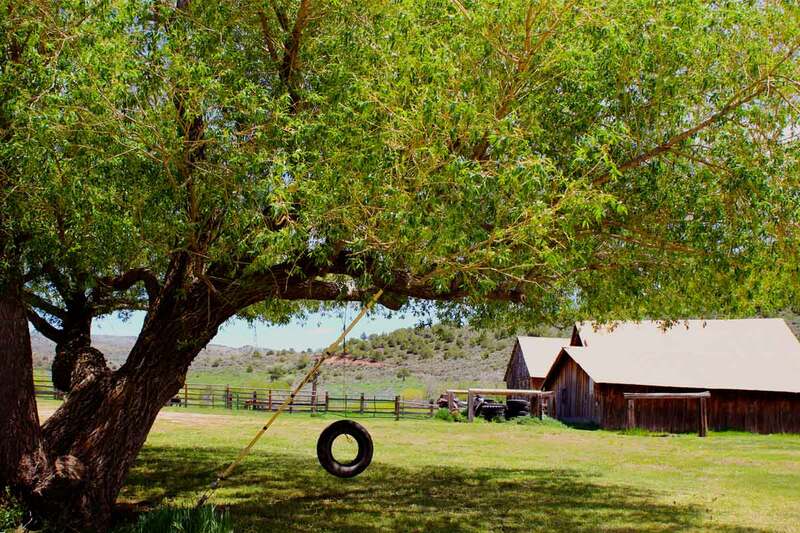 This Colorado Ranch has a little something for the whole family, children can enjoy a swing after helping on the ranch. 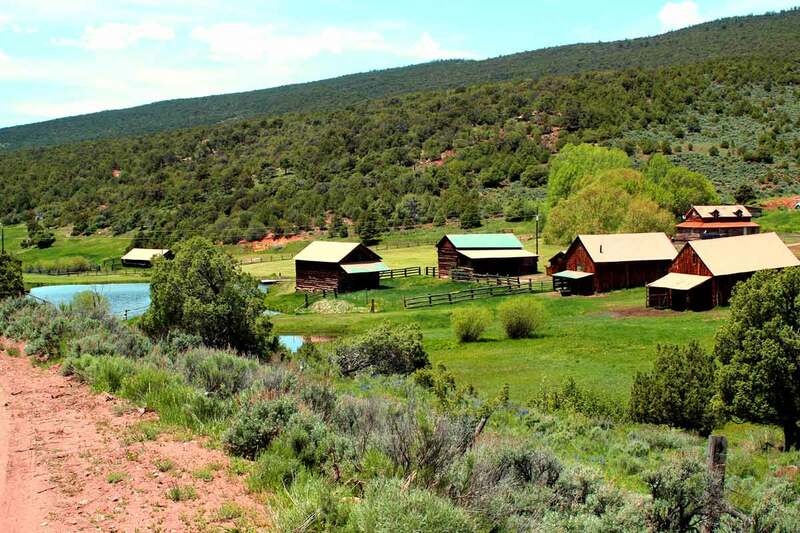 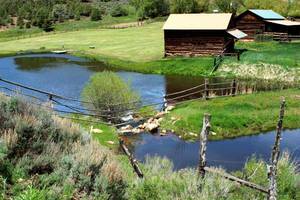 Copper Spur Ranch in Colorado offers several outbuildings near headquarters with 2 ponds for fishing. Ranches in Colorado often have a pasture near headquarters for a small herd of horses or cattle. 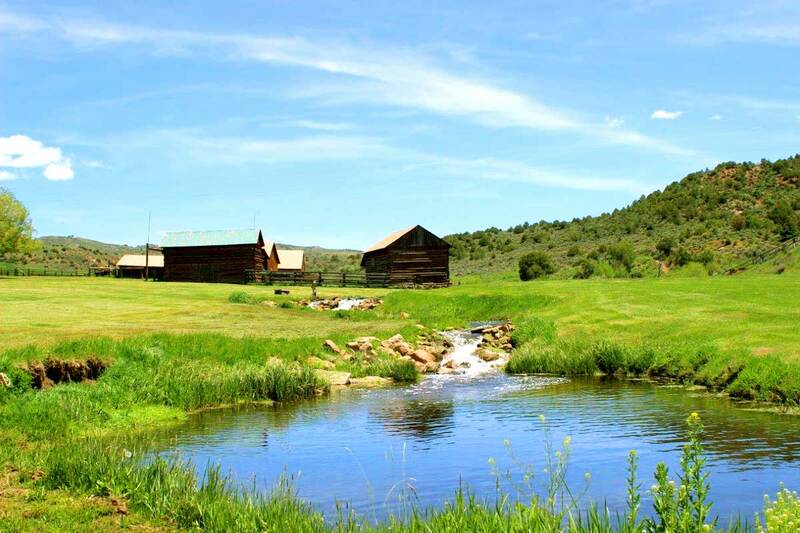 This Colorado Ranch for sale has a variety of thicket with a small stream running through. Mountain side full of timber perfect for big game hunting. 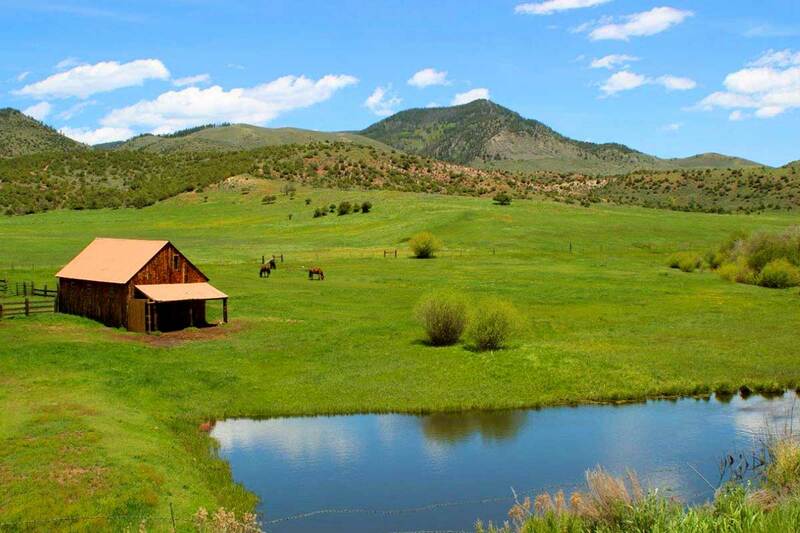 Amazing mountain views all around from this Colorado ranch for sale. 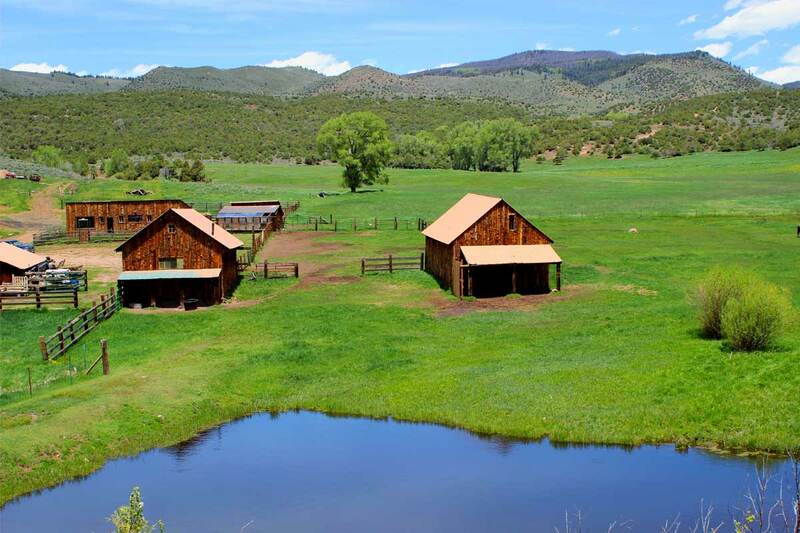 Colorado working ranch for sale has endless opportunity which includes big game hunting, fishing and open meadow for livestock. This Colorado Ranch for sale has access to BLM lands and Routt National Forest Land which provides excellent habitat and recreational activities from hunting and fishing to horseback riding and ATVing. 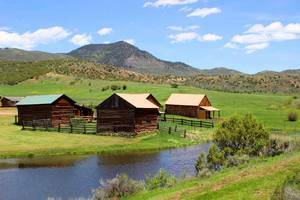 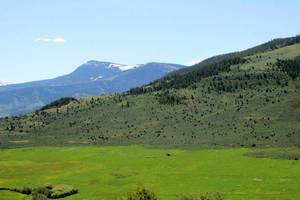 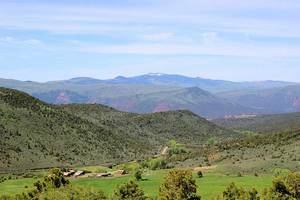 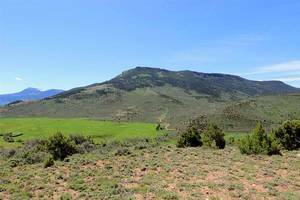 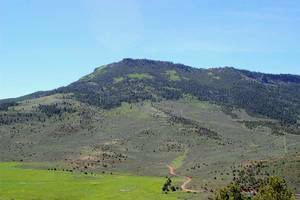 Copper Spur Ranch for sale in Colorado sits below hills that are covered in brush. 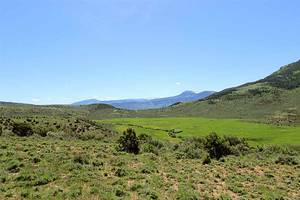 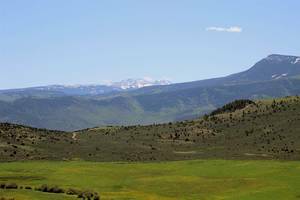 Stunning view of an open meadow with BLM and Routt National Forest surrounding this Colorado Ranch for sale. 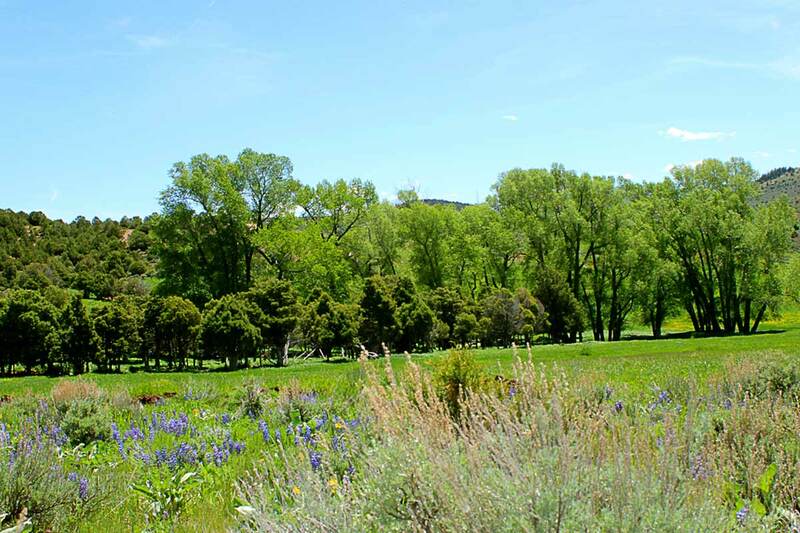 This Colorado Ranch for sale has tall trees that provide some shade for your cattle or horse herds. Nice open meadow on which a small herd of cattle or horses could graze on this Colorado ranch for sale. 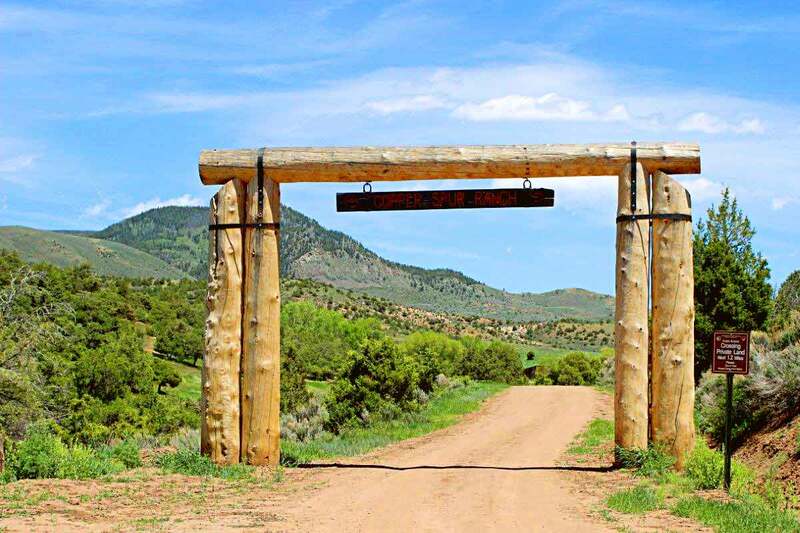 Entrance to this Colorado Ranch for sale that offers 2 ponds and several outbuildings. 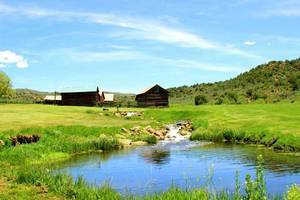 Copper Spur Ranch is located outside the small mountain town of McCoy, Colorado and just is a short 20-mile drive from the I-70 corridor and only 41 miles from Vail, Colorado and the world class Vail Resorts. The internationally known ski resort destination of Steamboat Springs is also just 52 miles away. 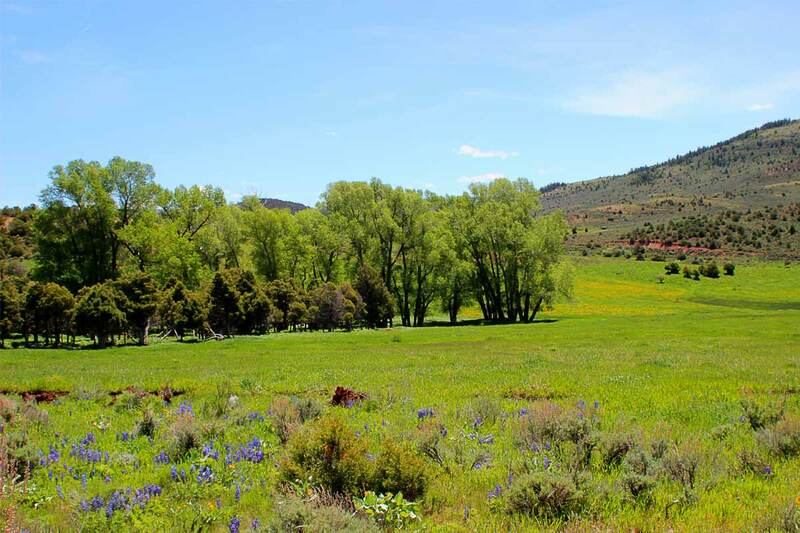 Both Vail and Steamboat Springs are also well known for their plethora of summertime activities and exceptional weather during the summer months.